Sony’s new WH-1000XM3 Noise Cancelling (NC) headphones are very popular at the moment. There are plenty of reviews out there but I’d like to concentrate on how well the Adaptive Sound Control and NC Optimizer features work. A quick reminder that noise canceling headphone circuits sense outside noise with built-in microphones and sends an equal-but-opposite canceling signal to the headset. Note that the WH1000MX3’s are great at noise cancelling but they’re not magic. The noise canceling function works primarily on noise in the low frequency band. Although noise is reduced substantially, it is not completely canceled. The only way to do that is to use earplugs. Expecting an incremental improvement in the specifications and performance of these 3rd generation headphones I was quite surprised to find that they are a big leap forward both in day to day noise cancelling and practical usefulness for long haul commuters and travellers. In an often noisy crowded world you’ll experience an oasis of silence thanks to the newly developed Sony HD Noise Cancelling Processor QN1 which claims to have about 4x better performance than the previous processor. This newly-developed component can not only negate transport noise but also further cancels out daily background sounds such as street noise and human voices thanks to Dual Noise Sensor technology which captures ambient noise with dual microphones and then passes the sound data to the processor to cancel the noise. 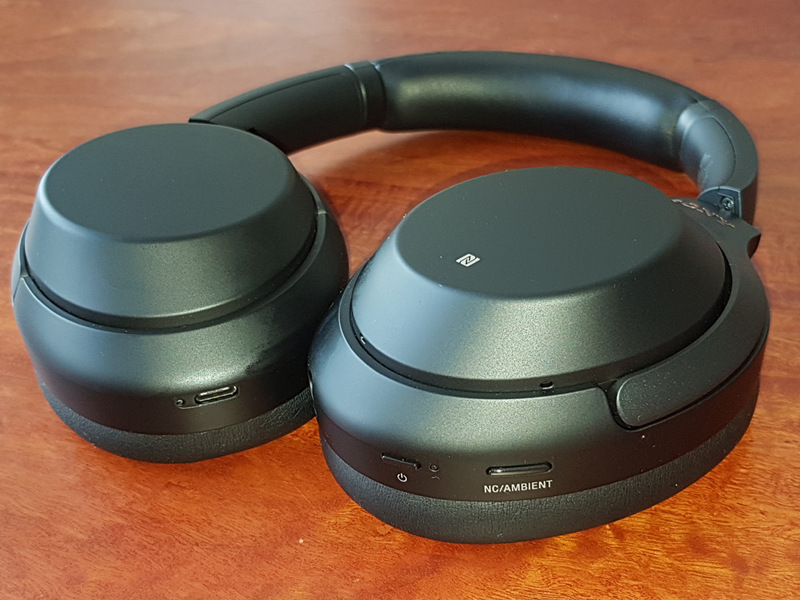 Dare I say it they are better than Bose QuietComfort 35 II, with the Sony WH-1000XM3 beating the previous industry leader thanks to longer battery life and quick charge functionality via USB-C that provides 5 hours wireless playback after a mere 10 minutes charge time. As you can see in the photo above the headphones have 2 buttons on the left ear. The first button turns the headphones on/off, once they’re on pressing it tells you the current battery % level. The second button can be assigned in Sony’s Headphones Connect app to either Google Assistant or manually controlling Adaptive Sound Control modes. Hopefully in the next version of these headphones these features are given separate buttons. If the NC/AMBIENT button is set as the Google Assistant button, the noise canceling function cannot be switched by pressing the NC/AMBIENT button. 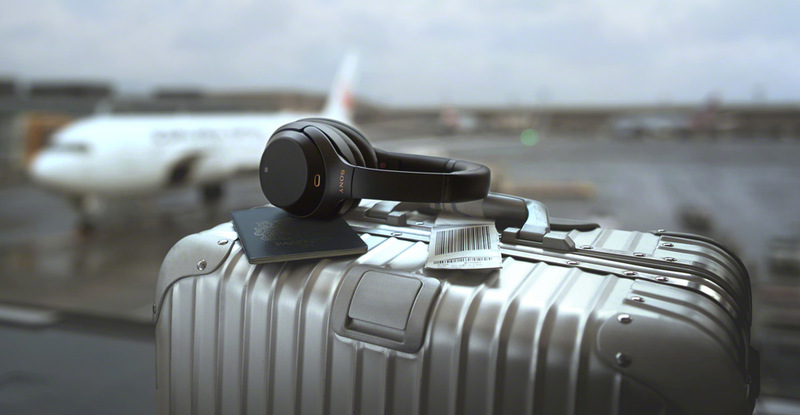 You can also change the settings of the noise canceling function and the Ambient Sound Mode with the Sony Headphones Connect app. I haven’t been on a flight yet with the WH1000MX3’s but found Adaptive Sound Control worked quite well when sitting on a bus, train, walking outside and sitting on my sofa. The few times it got confused were when there was music, radio and other noise in the background, so during those times I switched manual noise cancelling on. If you keep your WH1000MX3’s permanantly in Noise Cancelling mode note that it’s possible to use to temporarily turn it off and switch to Quick Attention Mode eg to listen to train announcements or talk to a flight attendent. To activate the Quick Attention Mode touch the entire right hand side of your headphones cup with your hand flat. The Noise cancelling optimiser function optimizes the noise canceling function by detecting the shape of your face, your hairstyle, the headset attaching condition based on the absence or presence of glasses, or the pressure change in an airplane. It is recommended that you run the optimiser when using the headset for the first time. If the NC/AMBIENT button is set as the Google Assistant button, the NC Optimizer function cannot be operated from the headset. Wear the headset with the power turned on. Press and hold the NC/AMBIENT button until you hear voice guidance “Optimizer start” (about 2 seconds). Test signals can be heard during the optimization. When the optimization is finished, you will hear a voice guidance “Optimizer finished”. After that is recommended that you run the NC Optimizer again after changing your hairstyle, removing eyeglasses worn on a daily basis, or if you’re flying turn on the NC Optimizer function when the airplane reaches a stable flight condition. The condition set with the NC Optimizer function is retained until the optimization is run again. It is recommended that you turn on the NC Optimizer function once again after getting off the airplane. If you want to buy them you can head to Sony Australia online which are selling them for $399 at the moment or leading electronics and audio retailers which are already offering deals around $350.